Back in 2011 I started developing mobile applications. Being a Java developer it made sense to develop for the Android platform rather than iOS which required Objective-C knowledge, something I didn’t have, or one of the other platforms which required their own programming technologies. There is nothing wrong with being a Java developer working on Android applications because it is trivial to apply your Java skills in that direction. However, Android only makes up a small percentage of the devices currently on the market. By only supporting Android, you would be excluding a huge audience from enjoying your mobile application. So what are some problems and solutions associated with mobile development as an Android developer or organization? As previously mentioned, building only Android applications excludes a lot of people from using your application, but remedying this problem is not so simple. Building an application for Android, or for any platform, takes time. A good developer will always be interested in learning something new, so while you could possess both Android and iOS skills, it will take time to build an application for both platforms. For an organization who may not have time to wait, the alternative solution would be to hire an Android team and an iOS team, something that could become very expensive. This is from the perspective that software engineers are not cheap and neither is maintaining two different codesets for a single application. This is where modern cross platform frameworks come into play, something that didn’t exist when mobile development had first started. Imagine a world where you could develop mobile applications for Android and iOS that share a single set of code. Cross-platform frameworks like NativeScript, React Native, and Xamarin, have been around for a few years, but only recently have they become an acceptable solution for mobile development. NativeScript, React Native, and Xamarin will all get you a native mobile application comparable to what was created with Java, but each using a different programming technology. NativeScript development thrives on the popular Angular framework, React Native uses ReactJS, and Xamarin uses C#. I went the Angular route because TypeScript, what Angular uses, reminded me a lot of developing with Java. We’re going to see how to take a more efficient stab at developing mobile applications that work for both Android and iOS using NativeScript and the very popular, Angular framework. If you’ve made it this far, you’re an Android developer or have knowledge of the development of Android applications. The goal here is not to learn Android, but come up with an example that can be translated directly to NativeScript for both Android and iOS support. Based on the above image, we’re going to be creating an application that displays the current value of all the available crypto currencies. This data will be pulled from some remote API and displayed in a list. Create a new Android project. Since the focus isn’t on learning Android, create the project however you prefer. This project should have at least one Activity class with an associated XML layout. Before we write some code, we need to make sure that we’ve got the correct dependencies for Gradle and the correct permissions in our AndroidManifest.xml file. Volley will be used to make requests against a remote API. For more information on Volley, check out the official documentation, or a previous blog post I had written. The INTERNET permission will allow us to communicate to remote resources outside the application. The ListView that we’ll soon create in our XML will be referenced in the Java code and the cryptos variable is assigned to it as a source of data. Using Volley, we can issue an HTTP request to the free and open Coin Market Cap API. The response will be a JSONArray which we loop over and add our desired content into the cryptos variable. In our example, we’re adding the cryptocurrency name, symbol, and price in USD to the list. After the cryptos variable changes, we need to update the ListView via the notifyDataSetChanged() method. By using Volley we were able to populate our list with cryptocurrency data obtained from some third-party resource. While not terribly complicated, it can easily become exhausting when building a full scale application. Now we can focus on the NativeScript alternative that has cross-platform support with significantly less complexity. Like with the previous Android with Java example, we’re going to be creating a NativeScript application that displays cryptocurrency data obtained from a third-party. In the above image, you can see that the styles are a little different between the Android with Java version and the NativeScript version. This is because I used the default styles for both development methods. They can easily be formatted to match. In the above command, notice the use of the --ng flag. NativeScript supports several different frameworks sitting on top of it, so we’re indicating that we want to use Angular. With the project created, we’re going to need to do some slight setup like we did with the Java alternative. Because we plan to make HTTP requests, we’ve imported the NativeScriptHttpModule and added it to the imports section of the @NgModule block. We’ve also stripped out some component declarations that we won’t be using. The routes array is now empty. Remember, this is going to be a single page application and all we’ve done is remove reference to the pages that come with the default project template. With the configuration out of the way, we can focus on the development of the application. When developing Android applications with Java you typically have an XML file for every Java class. The same concept applies to NativeScript. In the above code we have a public variable called currencies. This variable will hold the response we receive from the third-party API. Because it is public, it will be accessible from the XML. Within the constructor method we initialize this variable. The real magic happens in the ngOnInit which is similar to the onStart that we saw with Java. The ngOnInit is called after the constructor method. Using the Http service that we had imported, we can issue a request. Angular relies heavily on RxJS when working with asynchronous data. RxJava, which uses the same API as RxJS, is available in Java, however Volley did not use it. With RxJS, we’re taking the response of the request, transforming it into JSON, and subscribing to the result so it can be used. In this case we’re applying the result to our public variable. Like with Android, we have our own flavor of XML markup in NativeScript. In the above UI we’ve defined an action bar, sometimes called a navigation bar, and a list. The ListView will loop through our currencies array found in the TypeScript and display them within a two column grid for each row. This was significantly easier than the Java alternative, right? Imagine scaling this application. It won’t be any more difficult or time consuming. 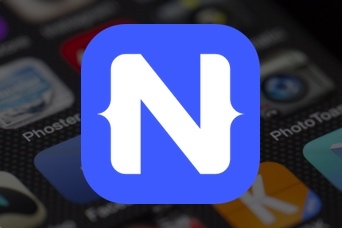 You just learned why NativeScript is a logical next step for mobile application developers. Coming from an Android with Java background myself, being able to develop applications for both Android and iOS with significantly less code is a huge win. This is also noting that you’re still left with a native application with native performance in the end. Not quite ready to make the full transition into NativeScript? You can actually merge the two technologies where half your application is Java and half your application is NativeScript. I wrote an example on doing this in a previous blog article titled, Extend Legacy Java Android Applications with NativeScript and Angular. Need help building out your next cross-platform project? Convective is a NativeScript Preferred Partner and a Progress Service Delivery Partner. Find out more.